"The Dive into The Frozen Eternity"
2005. A video installation. 20 sec continuous loop for each, with sound. 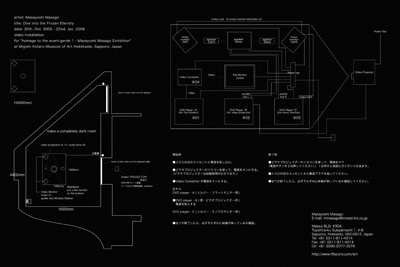 The document from a curated solo exhibition, "Homage to Avant-Garde Art 1 Masayoshi MASAGO Exhibition" at MIGISHI KOTARO Museum of Hokkaido, Japan.